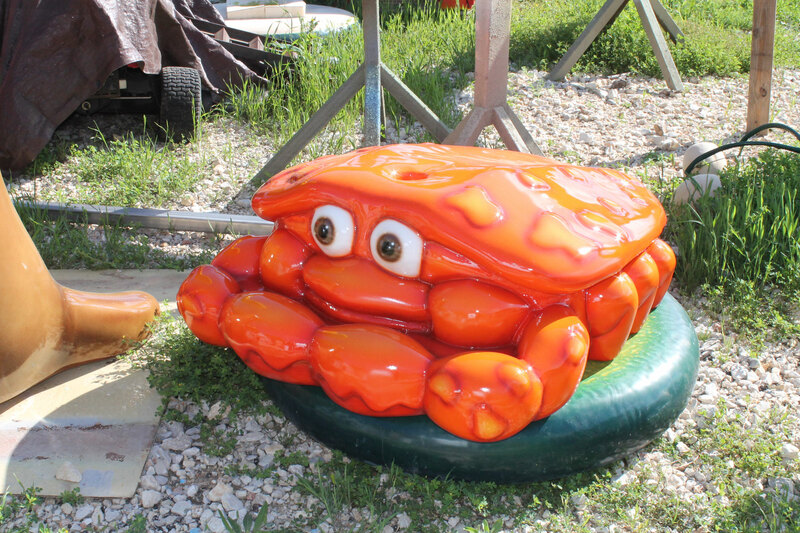 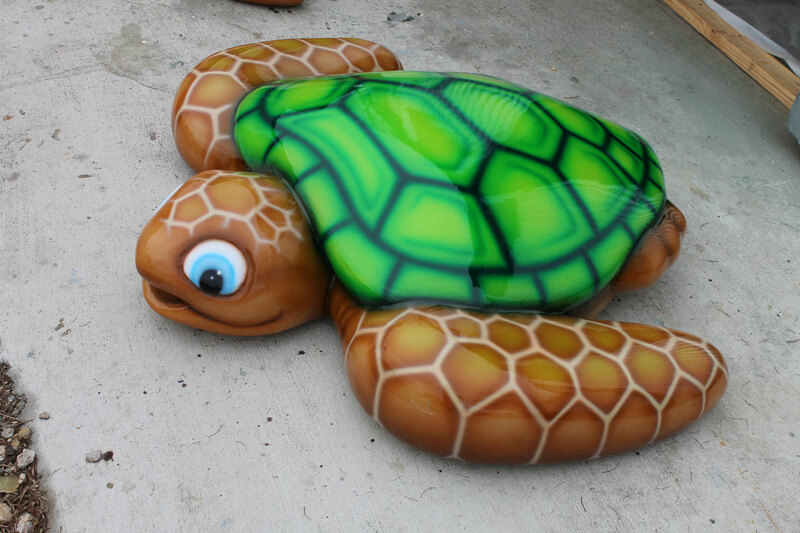 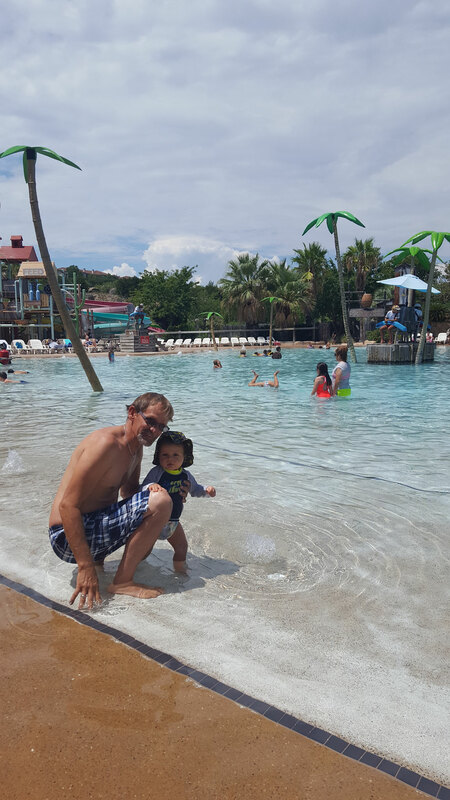 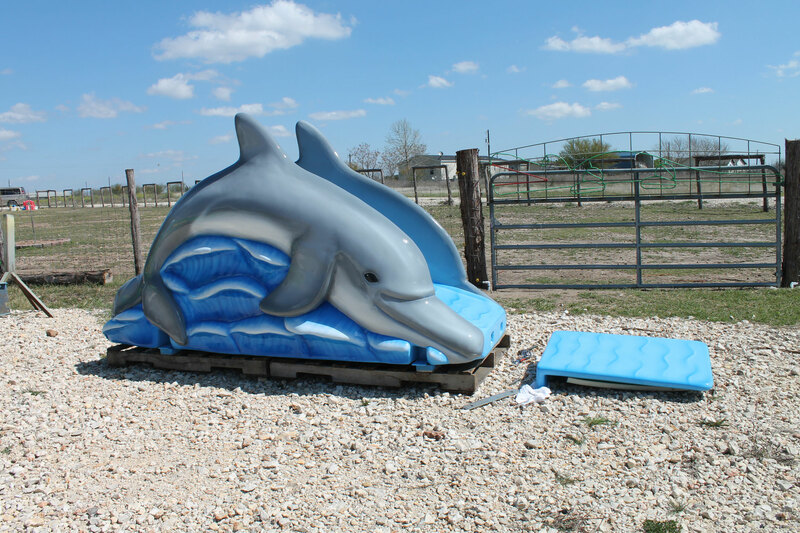 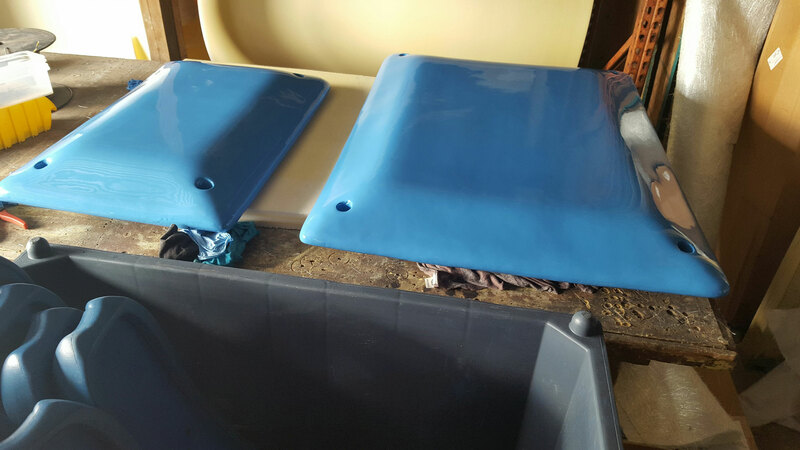 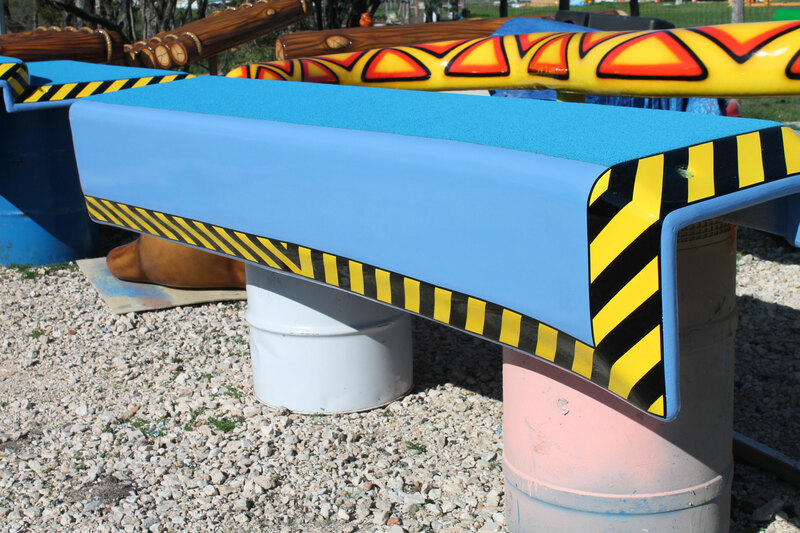 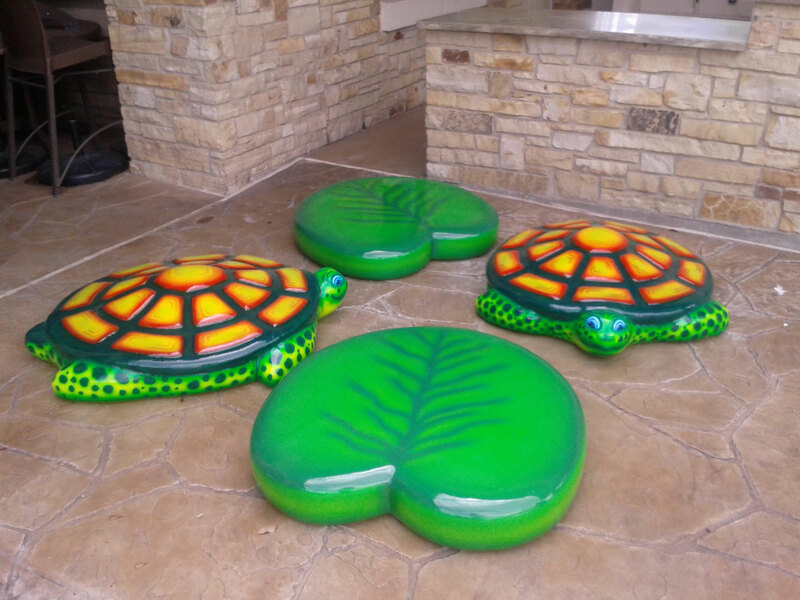 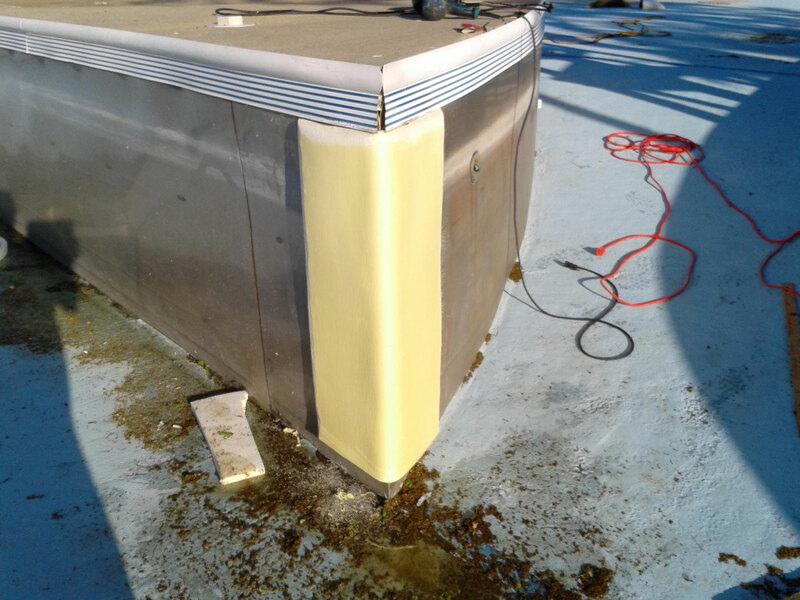 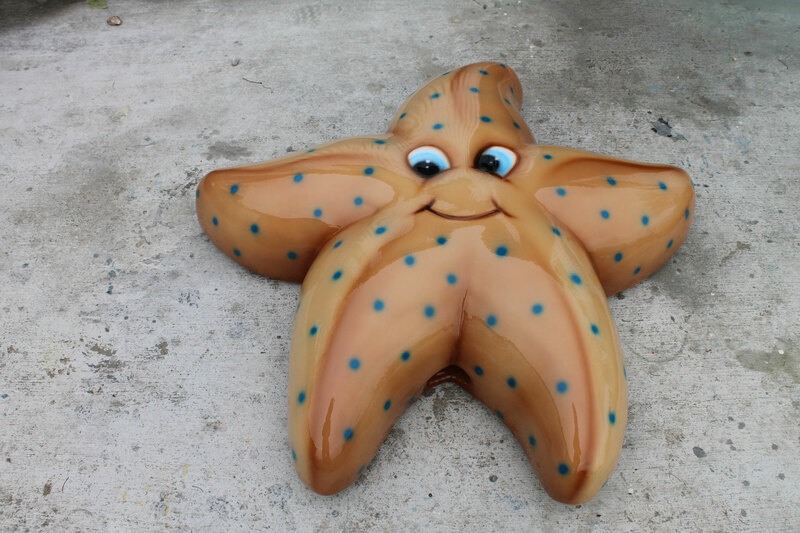 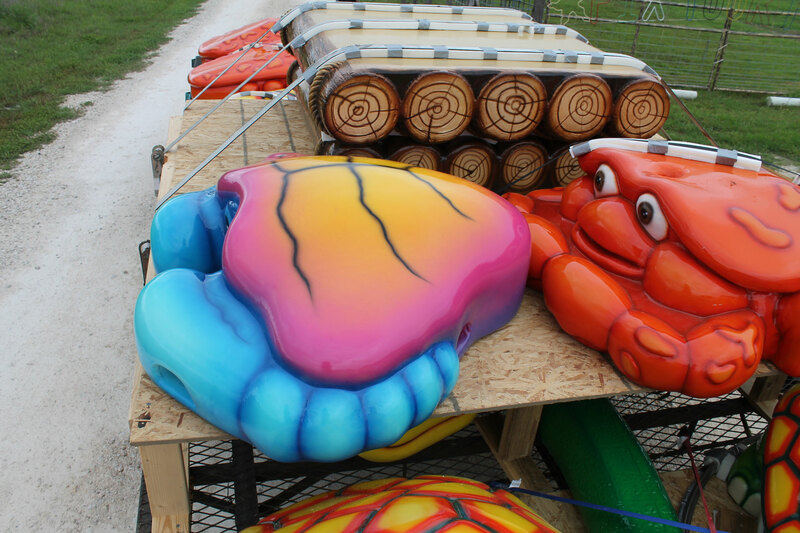 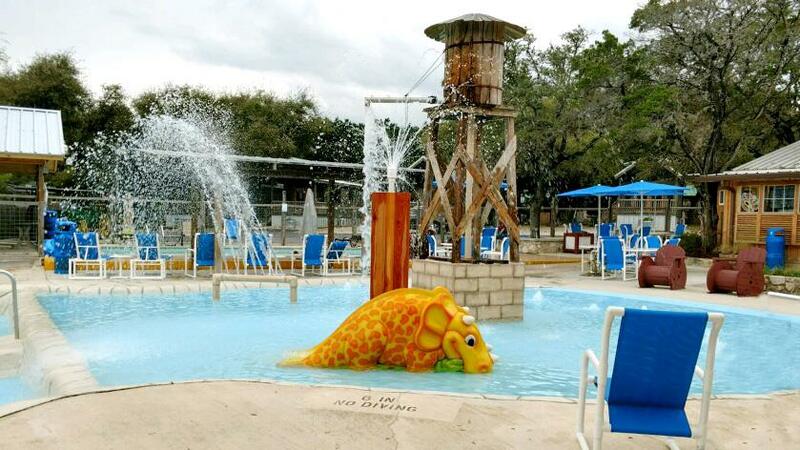 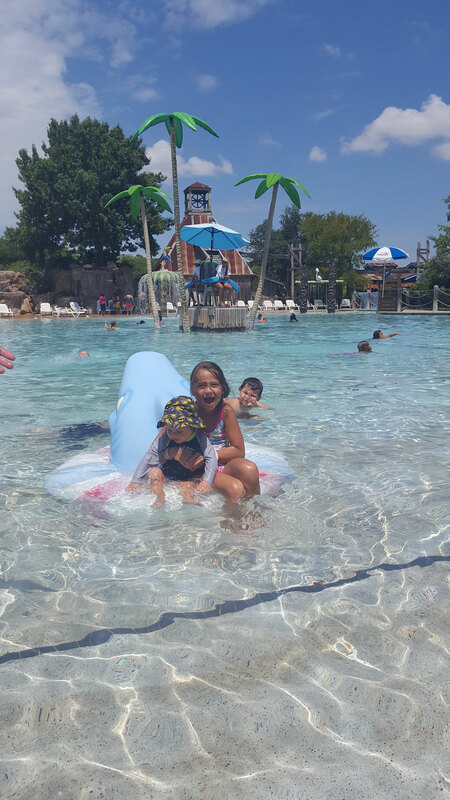 We manufacture a variety of soft foam, fiberglass and concrete items for water parks, theme parks, hotels, zoos, museums etc. 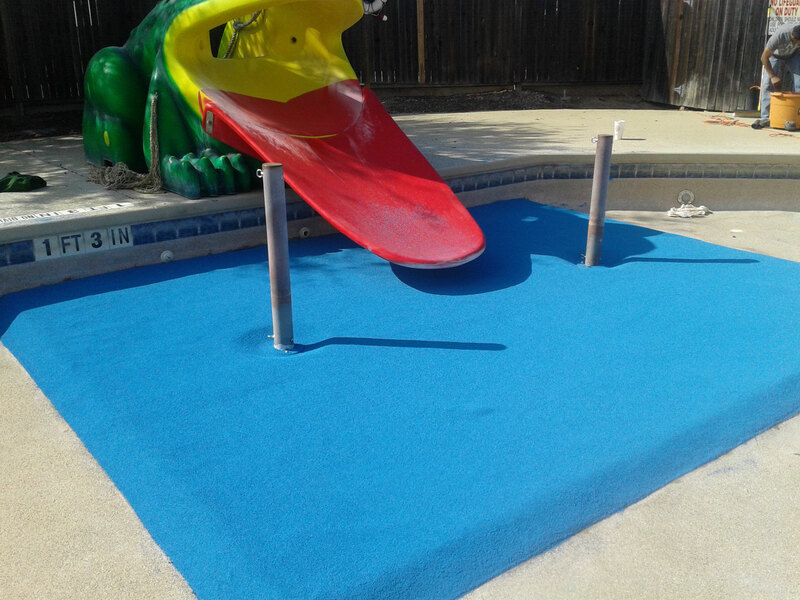 We use the highest quality materials and guarantee to deliver the safest, most durable and long lasting play features on the market. While we enjoy recreating some of the classical and original designs in the industry, we also love creating custom pieces! 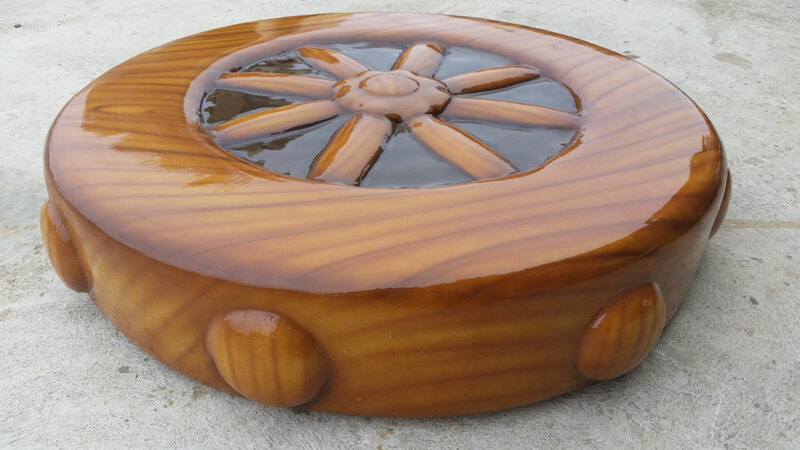 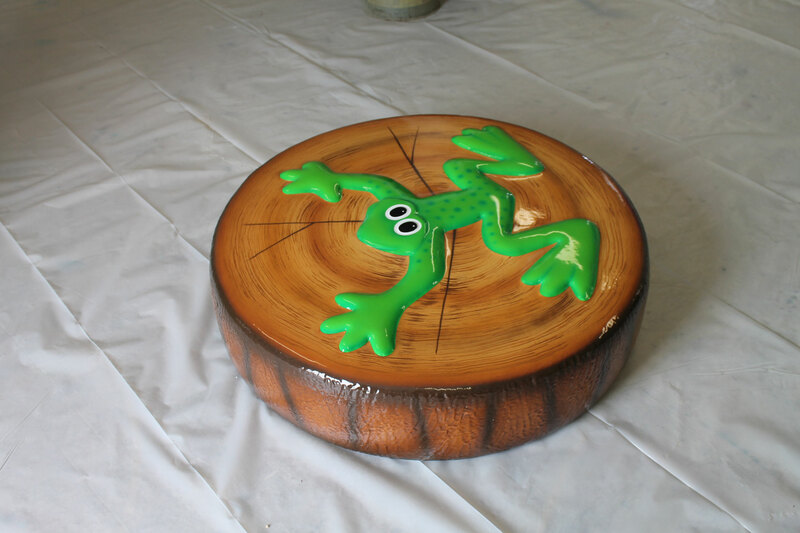 Lily pads, floating animals, log slices, custom pieces. 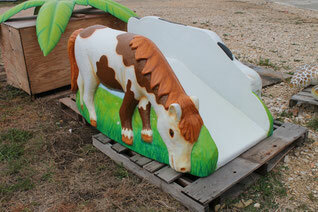 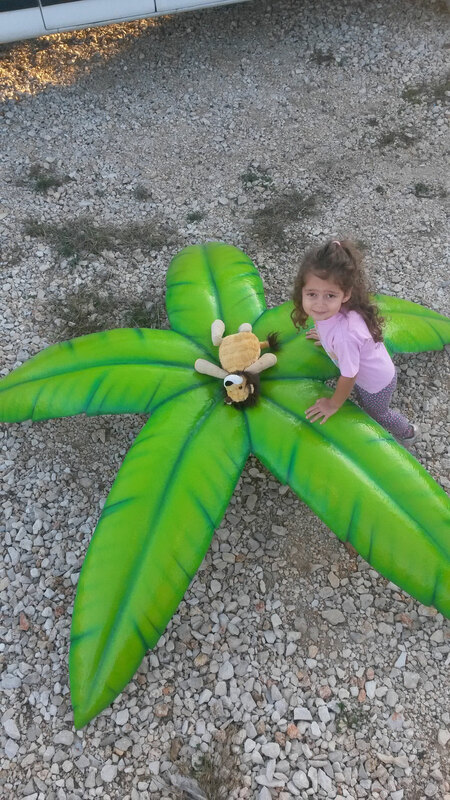 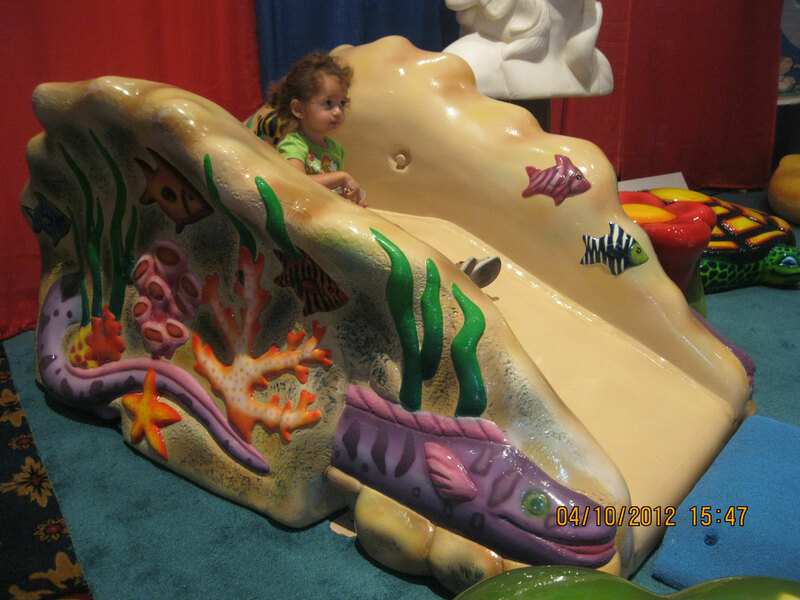 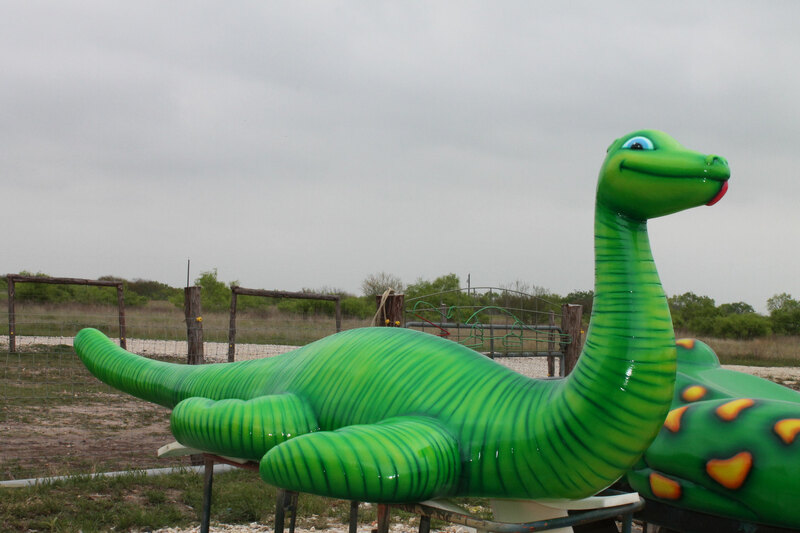 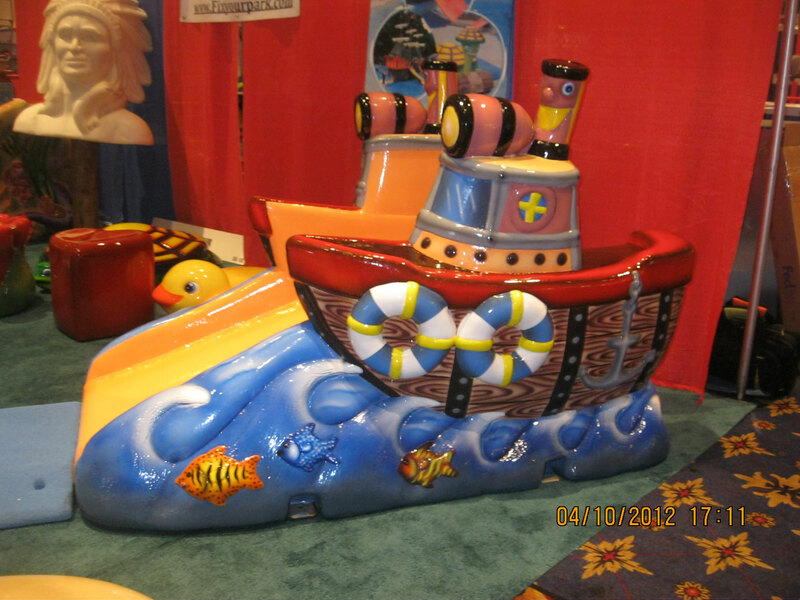 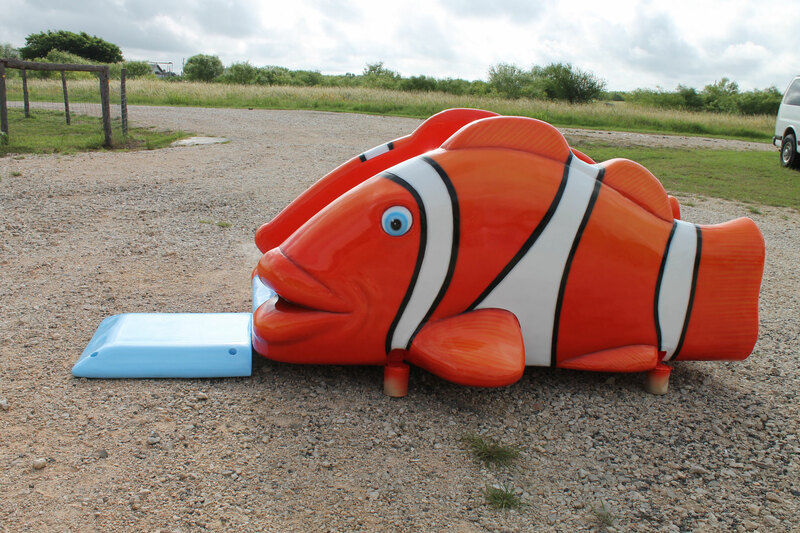 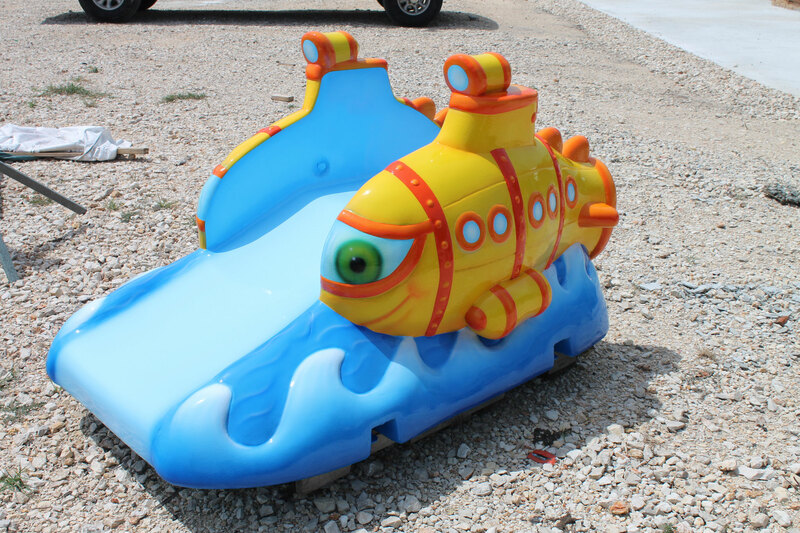 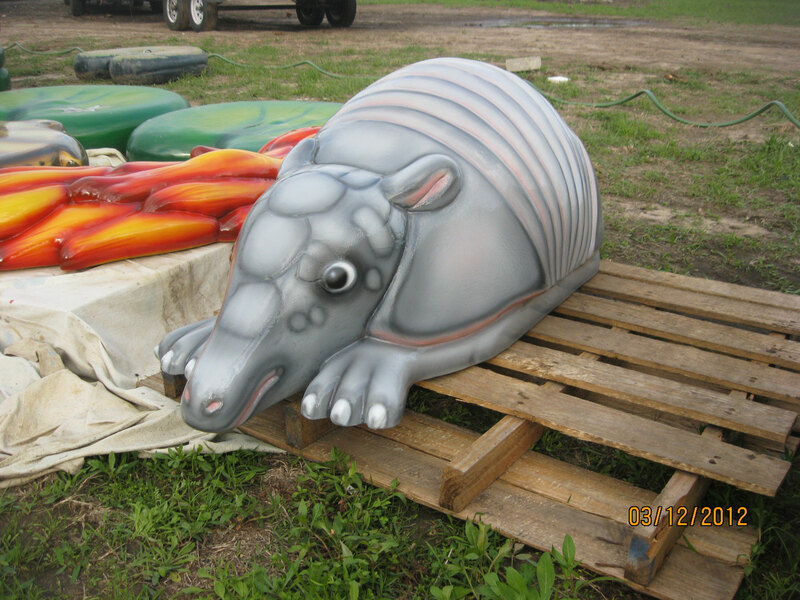 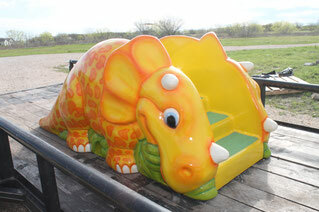 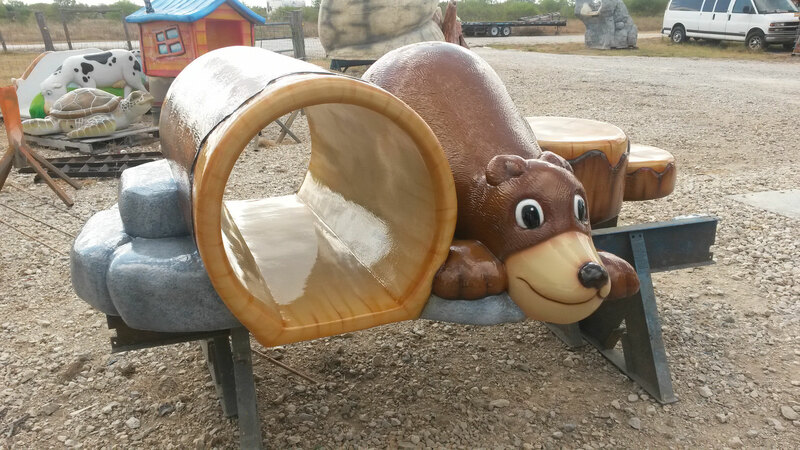 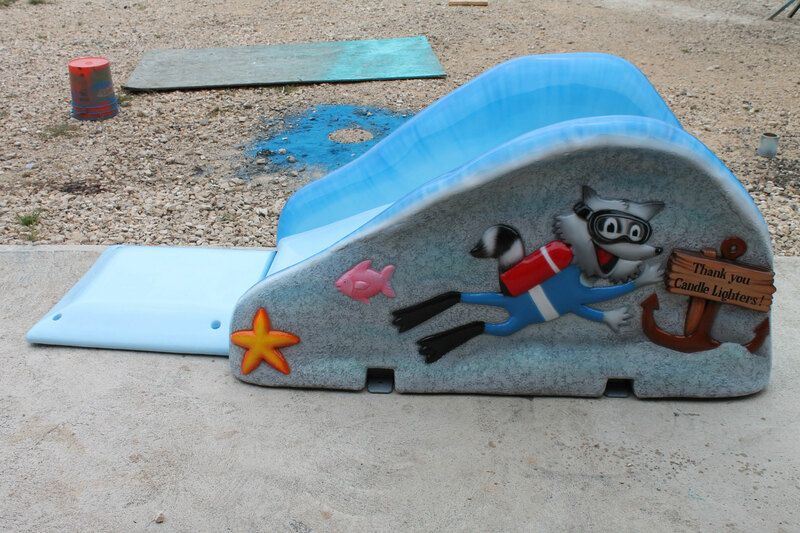 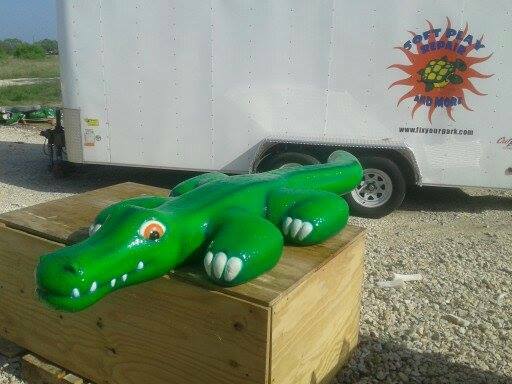 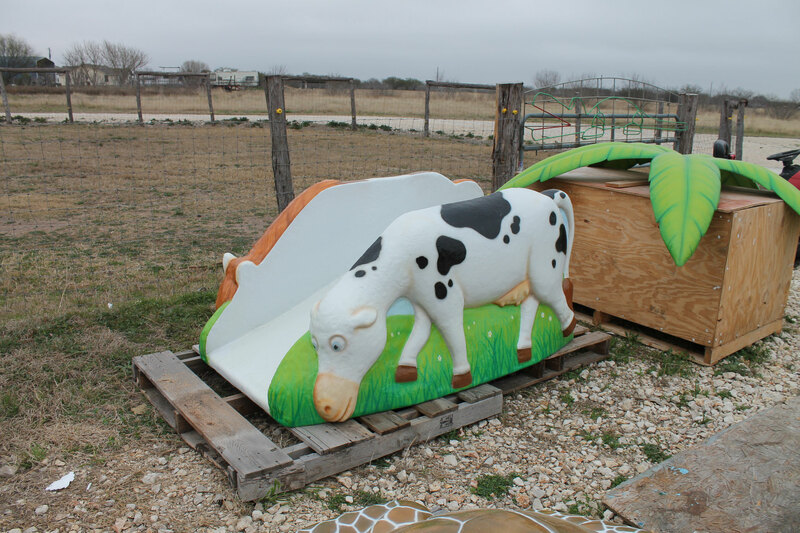 We specialize in custom soft foam toddler slides. 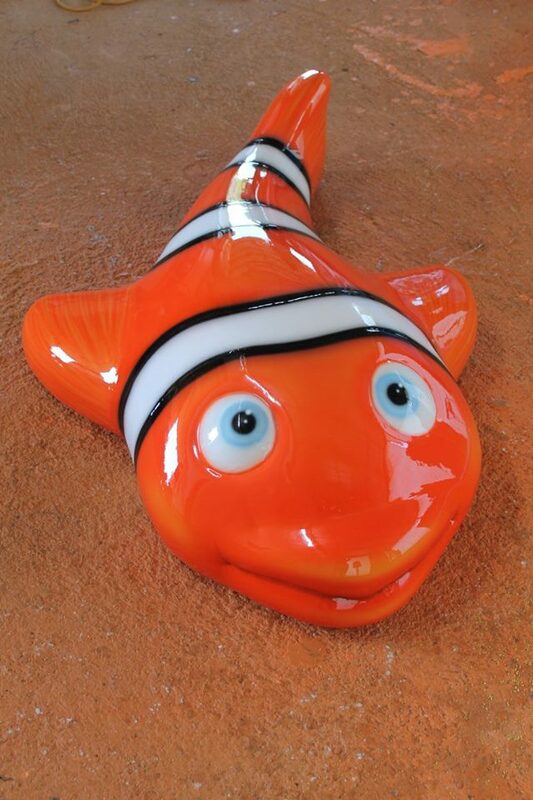 All are hand sculpted and unique. 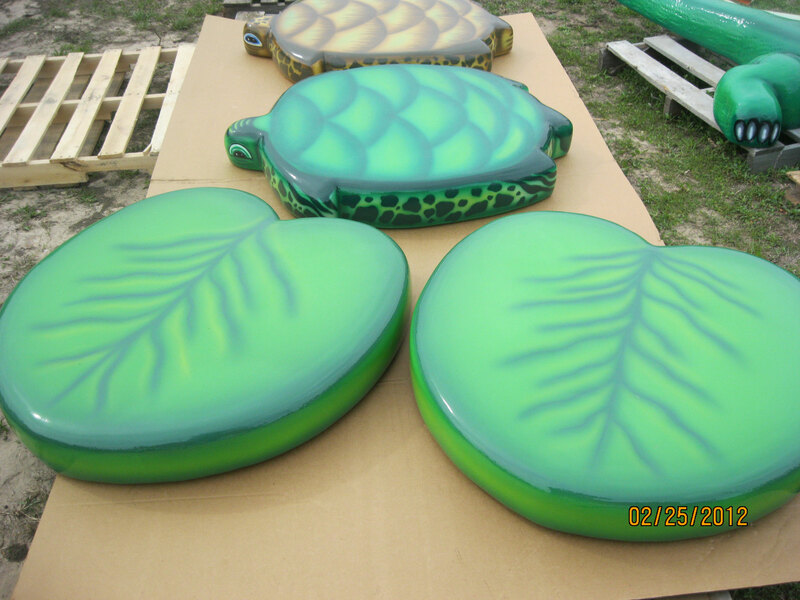 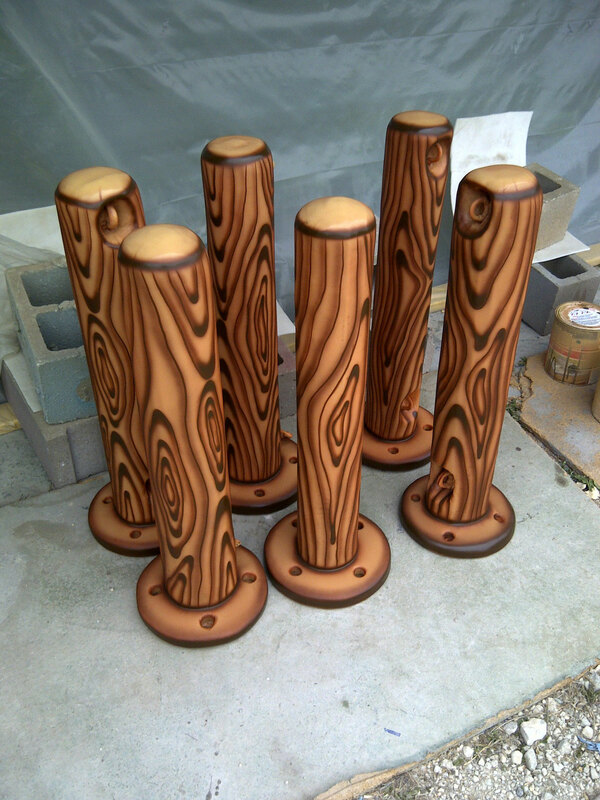 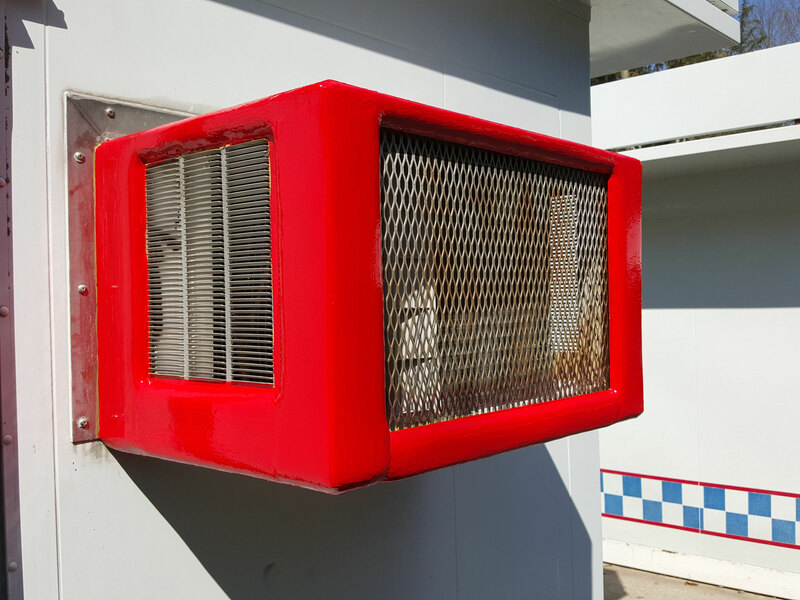 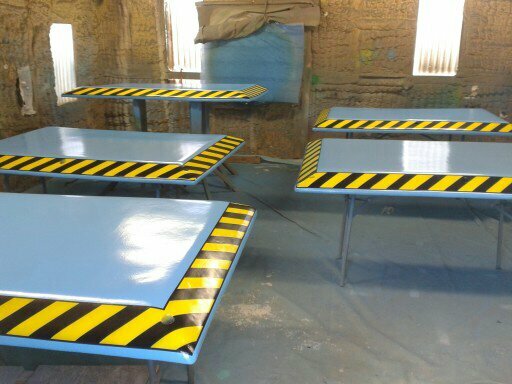 Custom sizes and designs are available to fit your space and theming perfectly. 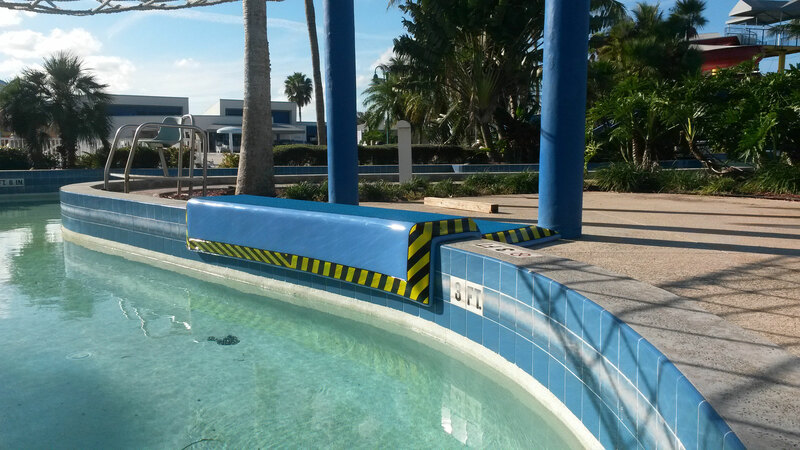 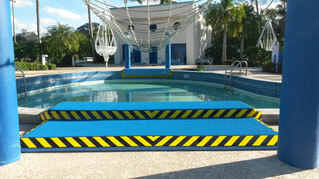 Fix Your Park LLC is the exclusive design patent holder for "Caution tape" design safety pads. 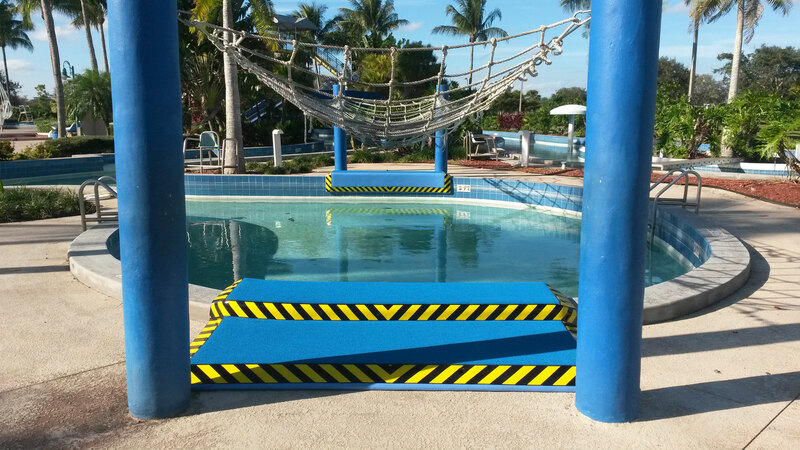 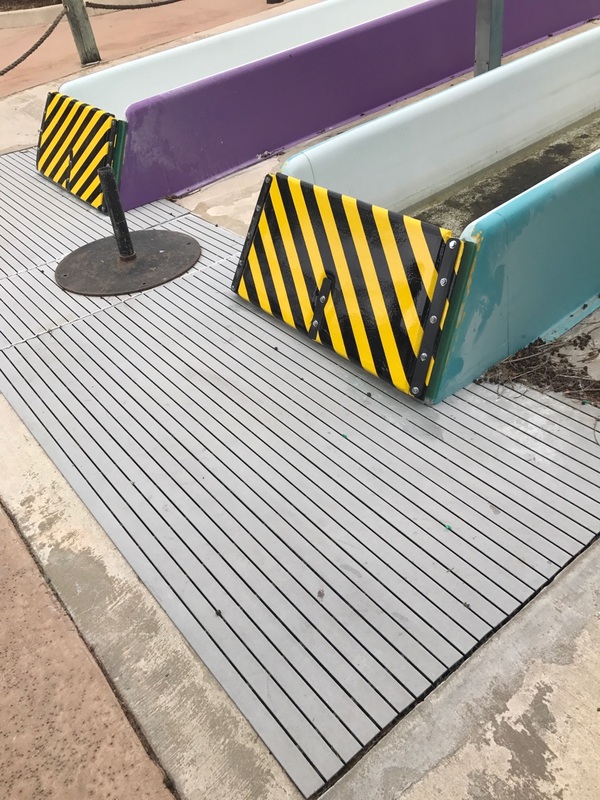 Safety pads with smooth or granulated non-slip surface, edge pads, net barrier posts, column wraps and custom safety padding. 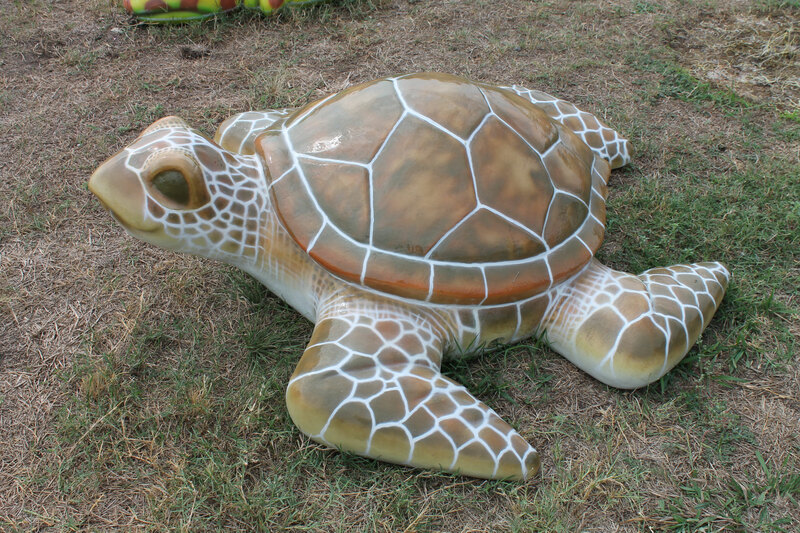 We love all creatures, colors, shapes and sizes. 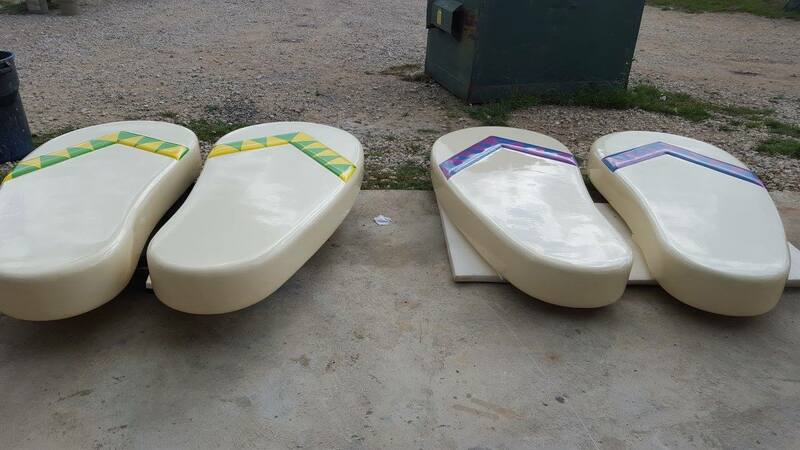 Give us your idea and we'll turn it into reality. 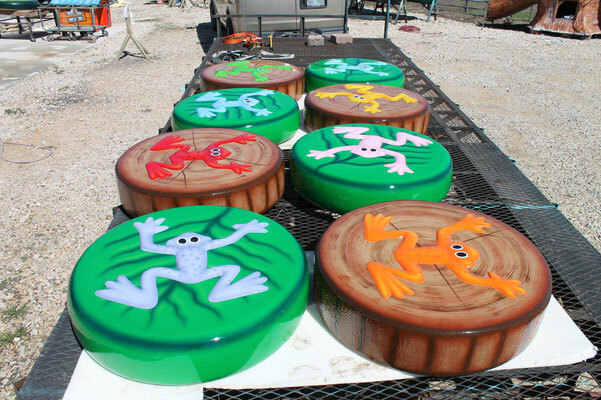 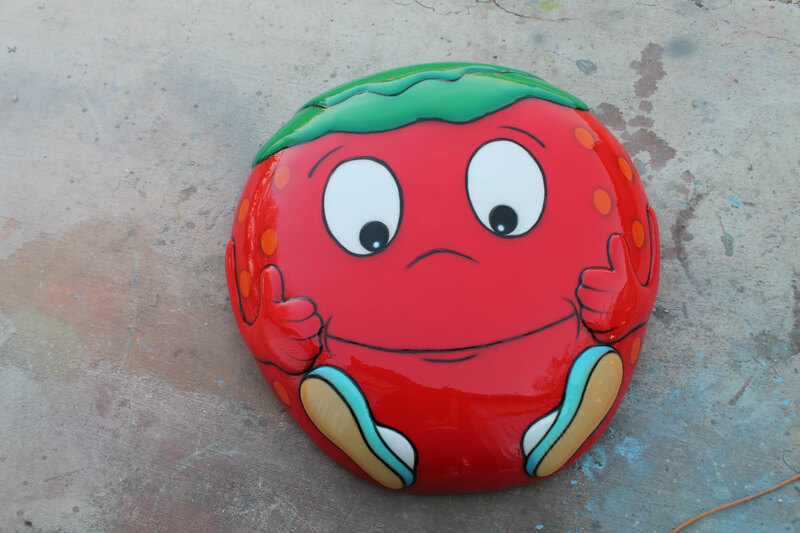 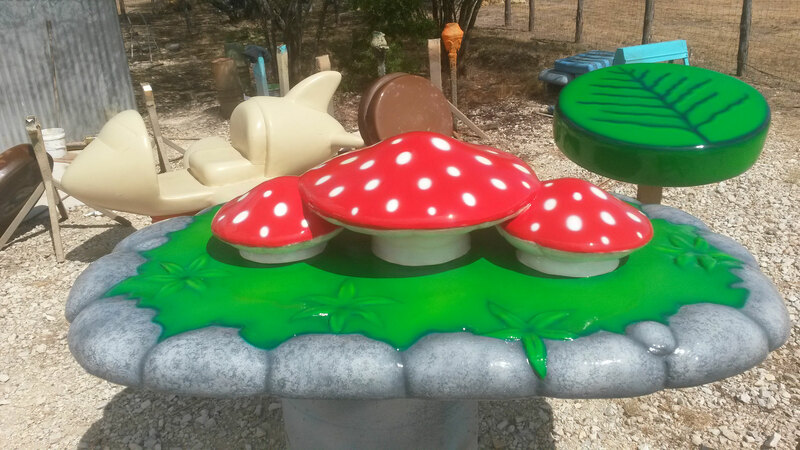 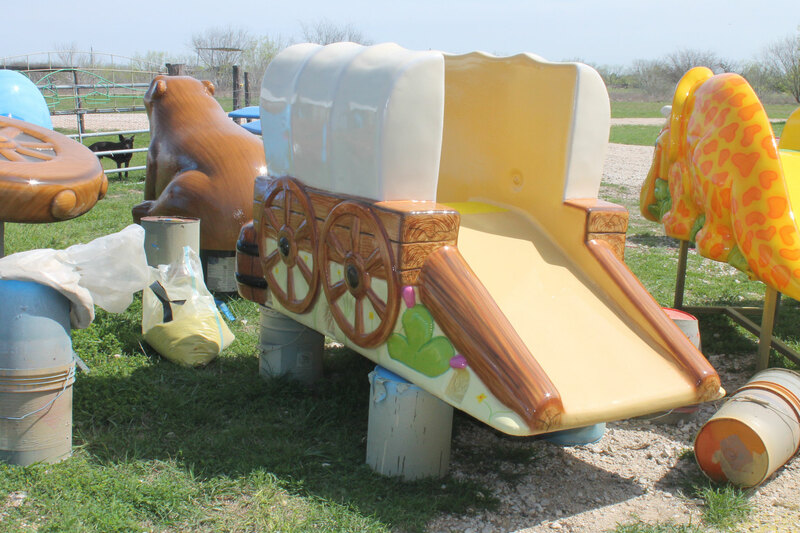 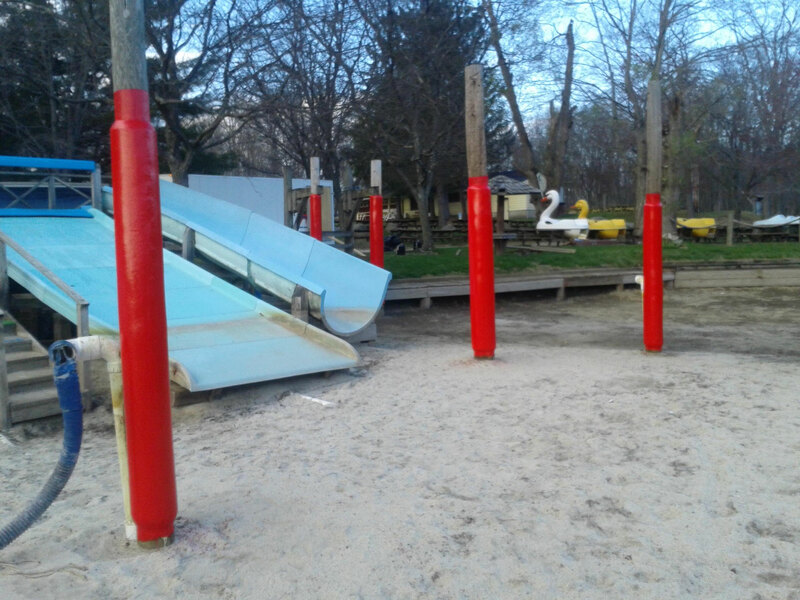 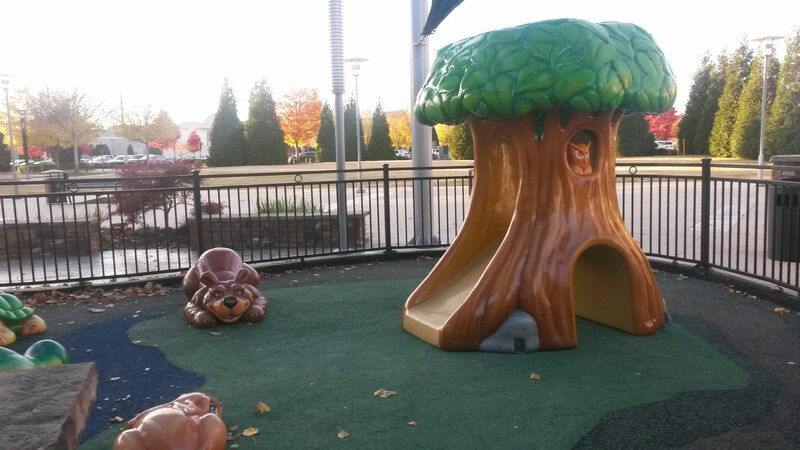 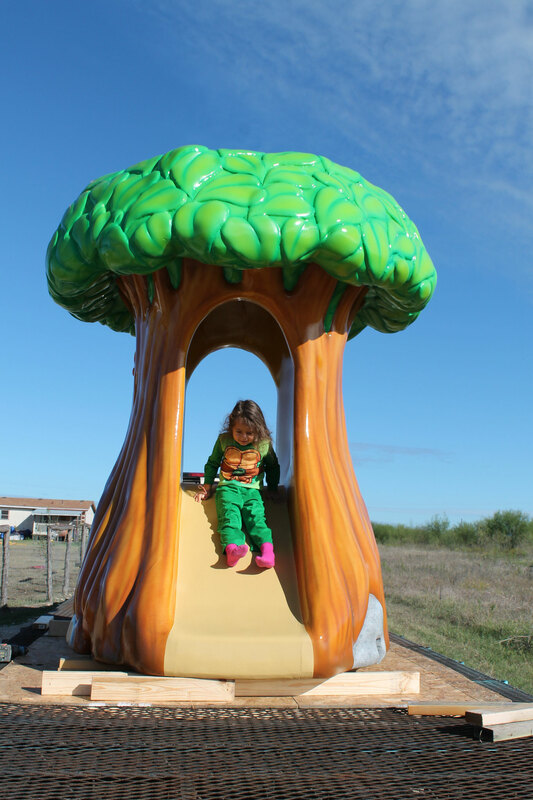 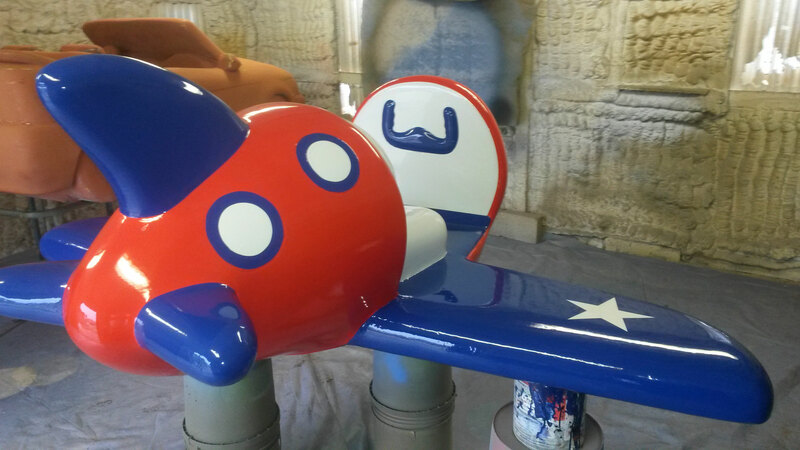 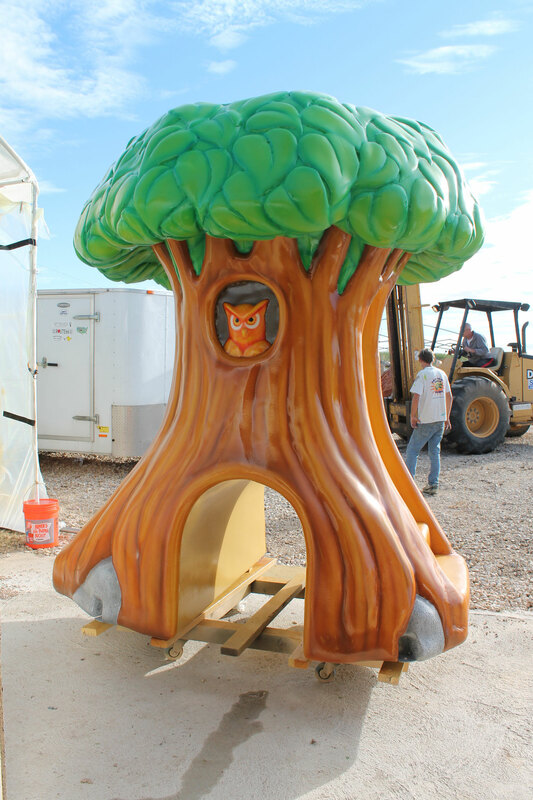 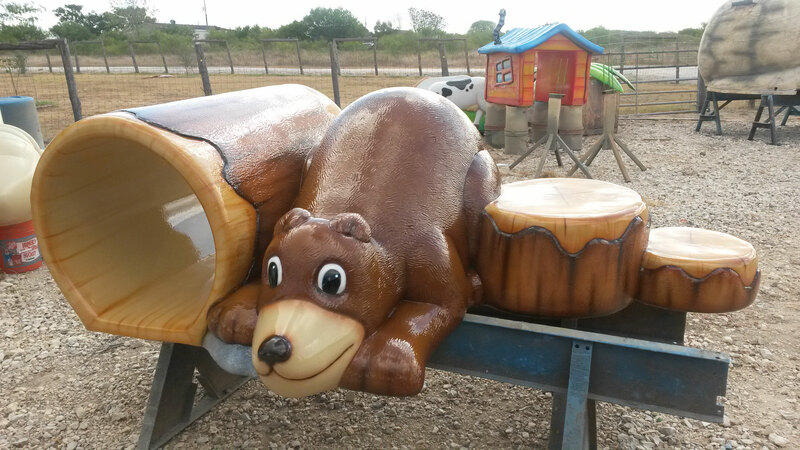 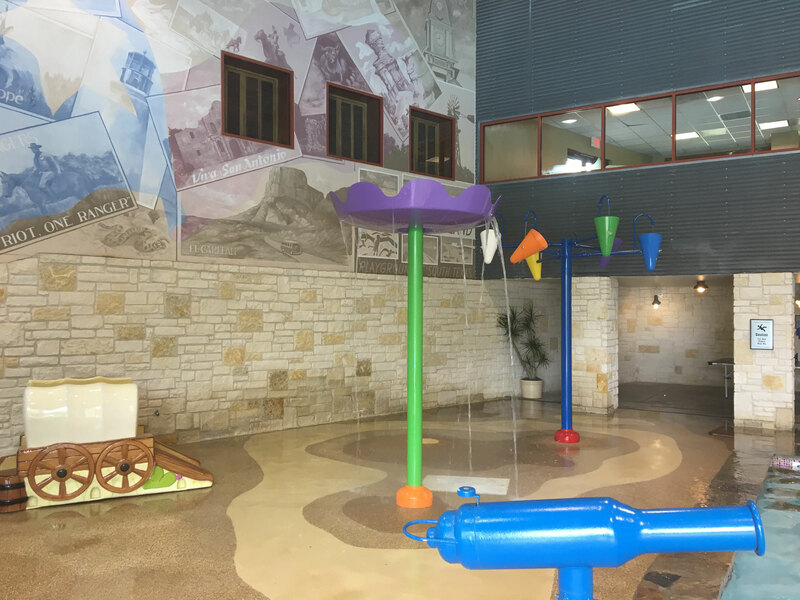 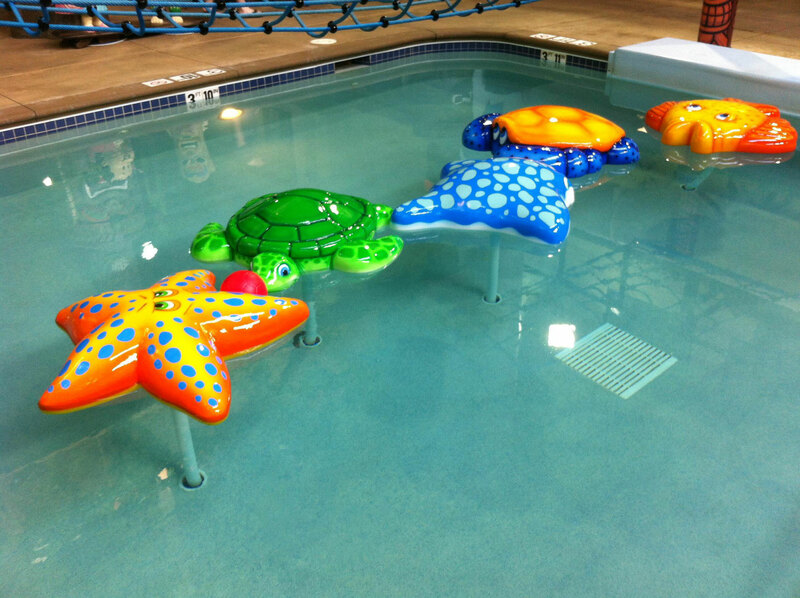 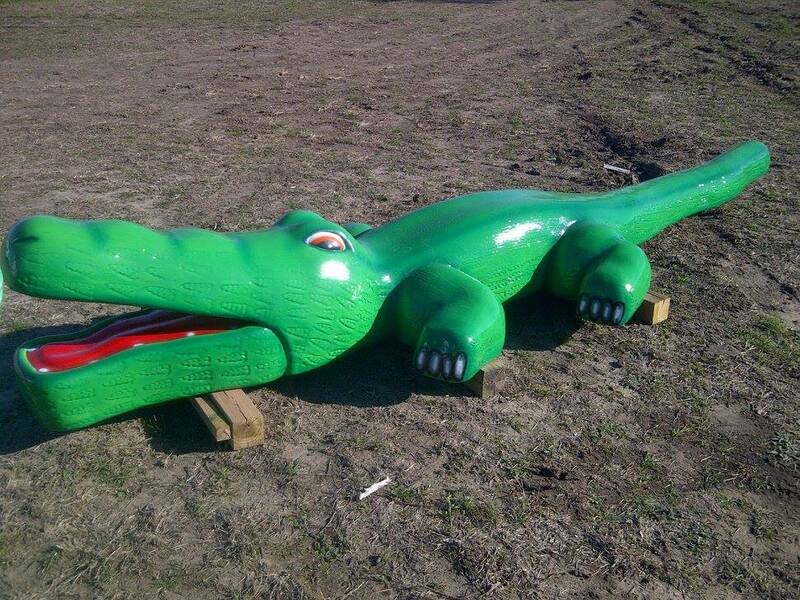 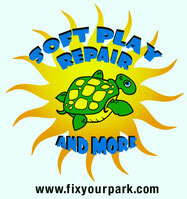 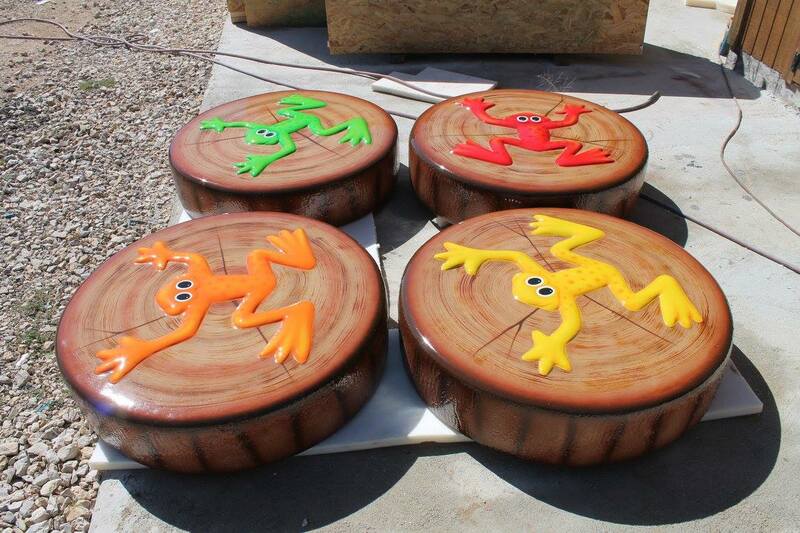 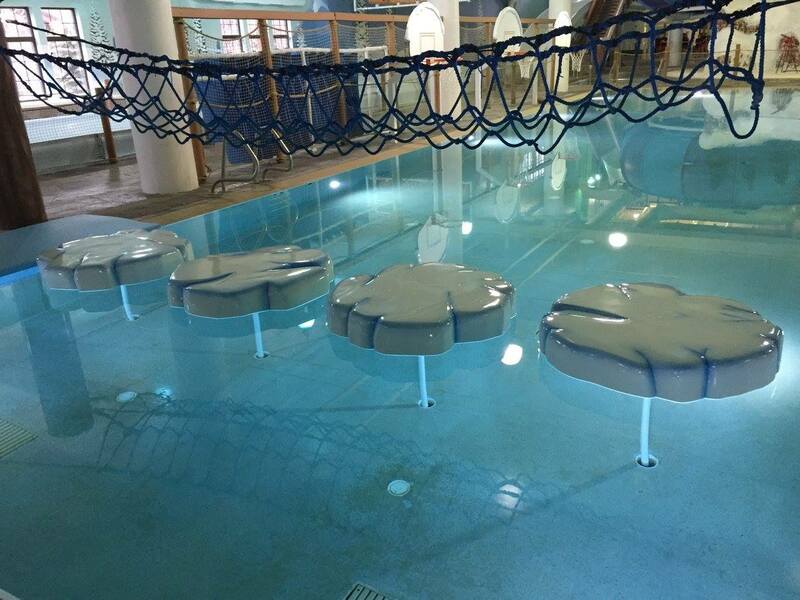 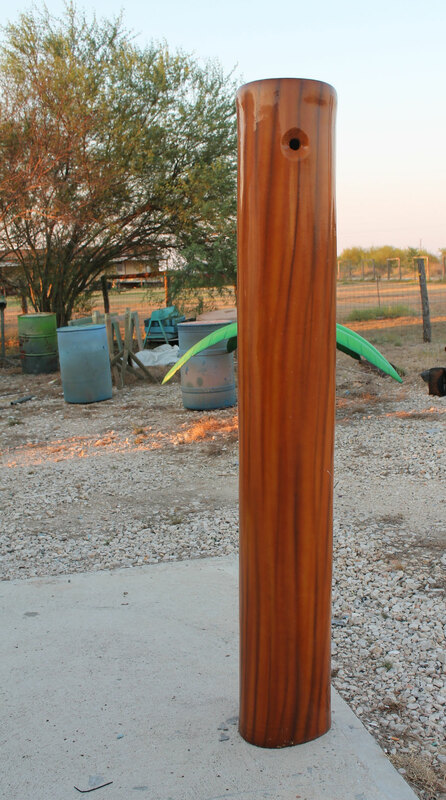 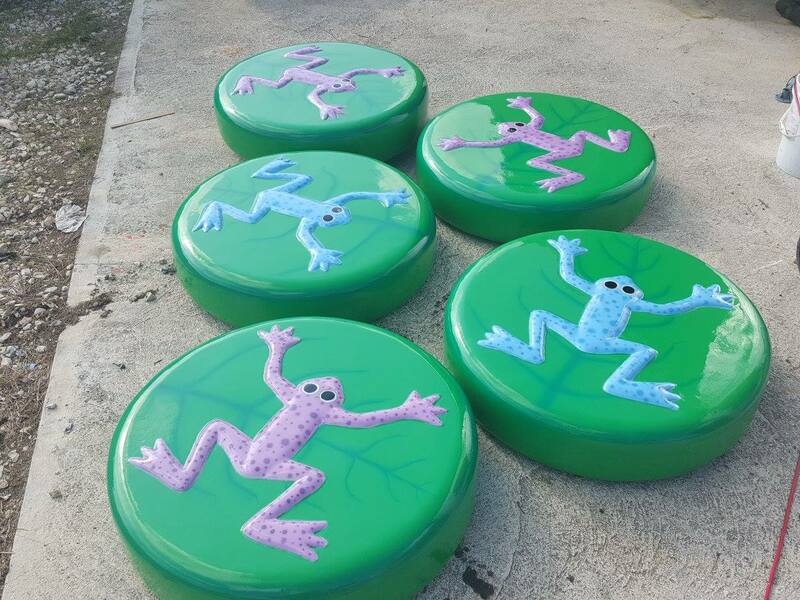 We offer new pieces and complete designs for dry play areas as well. 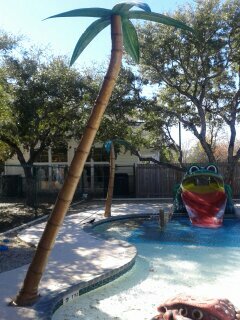 We had many clients who were tired of replacing their palm tree fronds every two seasons and asked us to come up with a permanent solution. 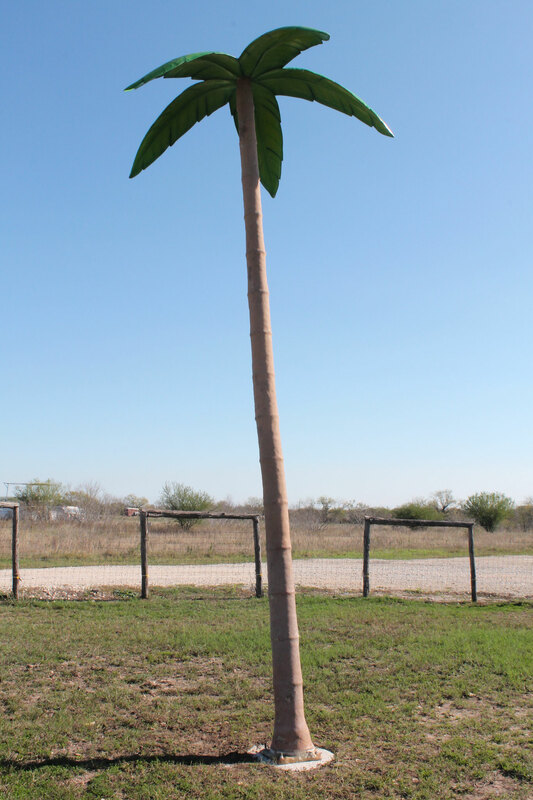 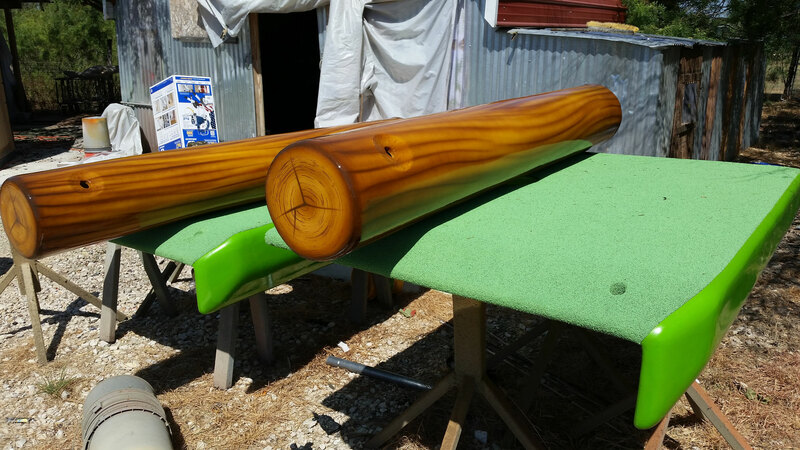 We have two sizes of palm tree tops that can be installed on pretty much any artificial palm tree and are guaranteed to last many many seasons. 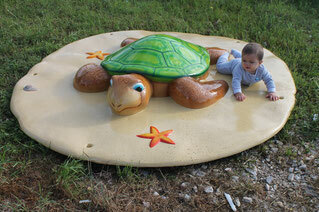 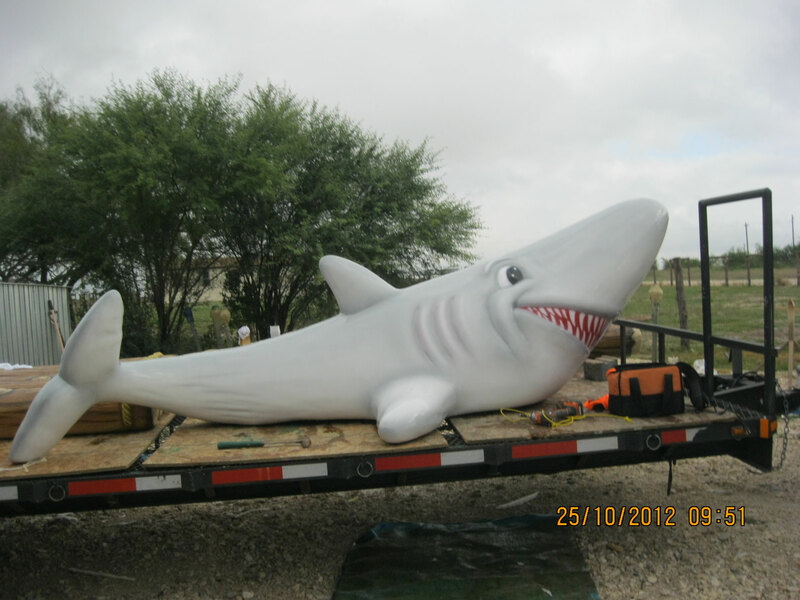 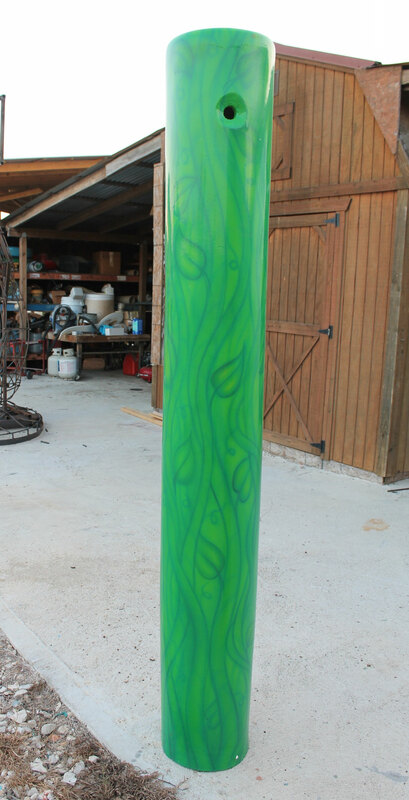 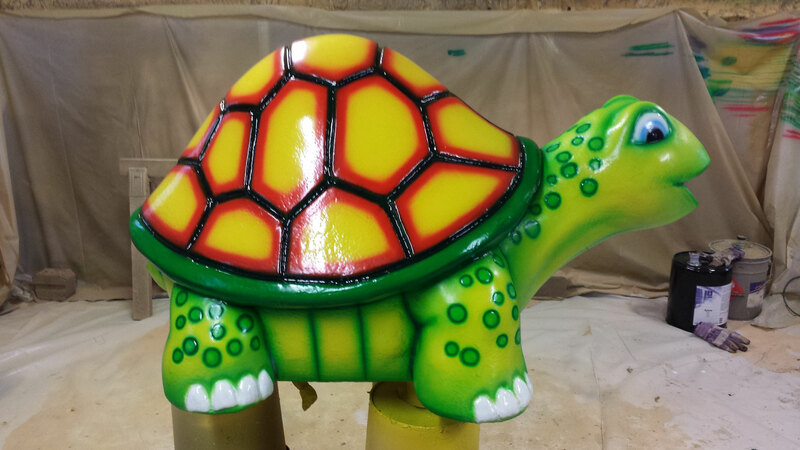 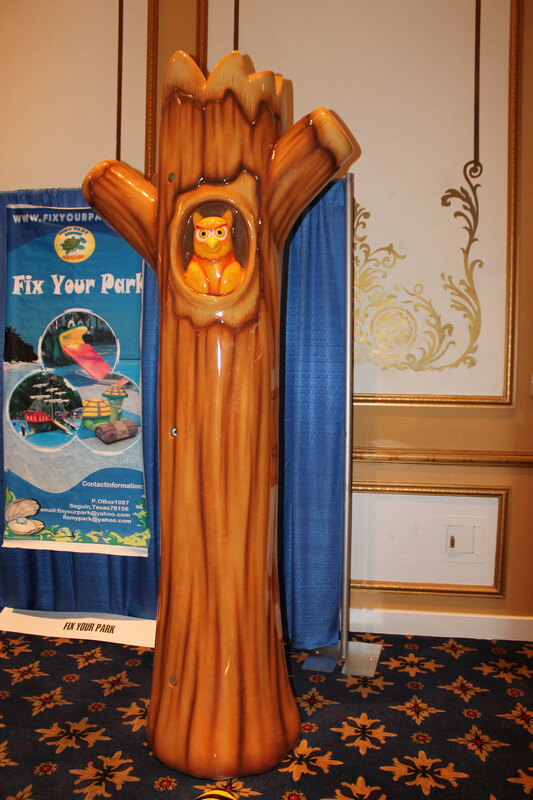 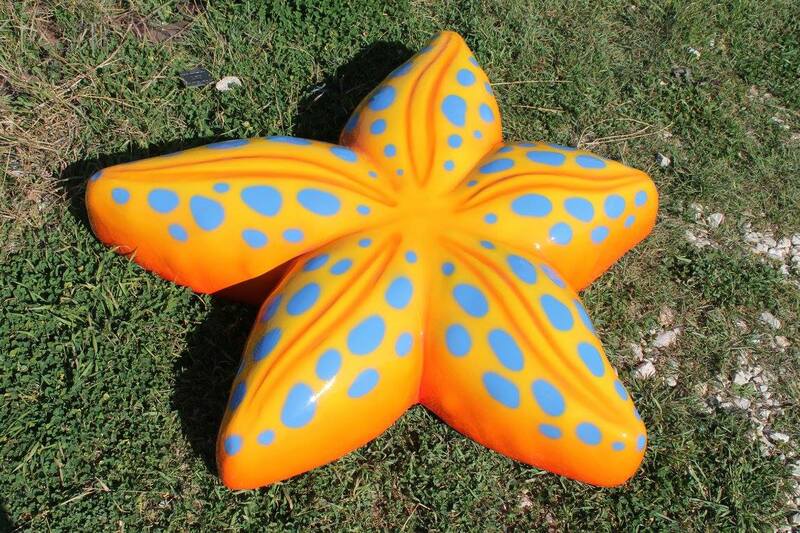 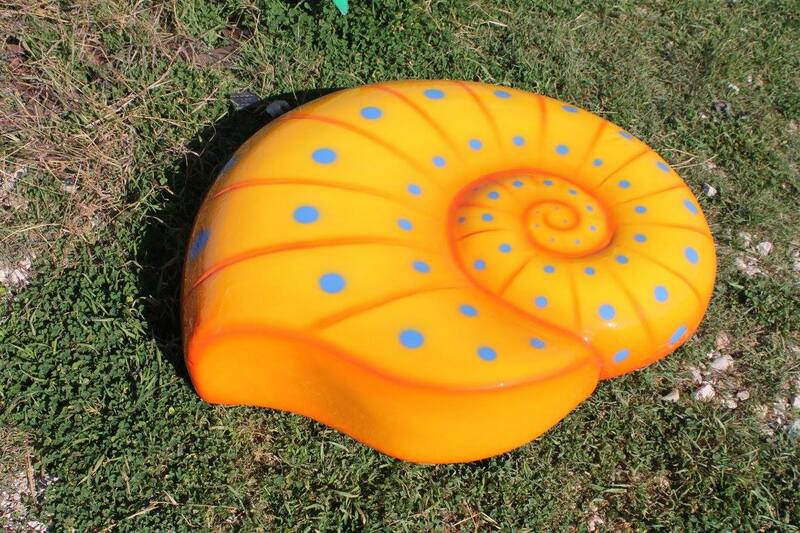 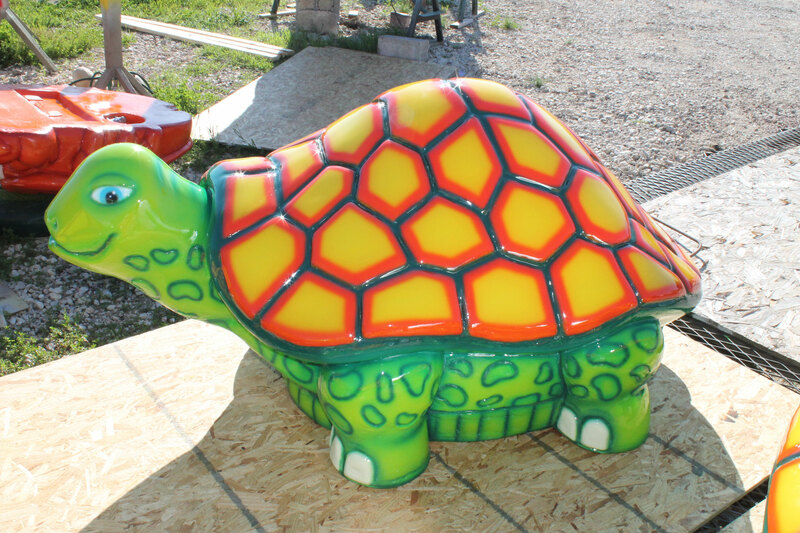 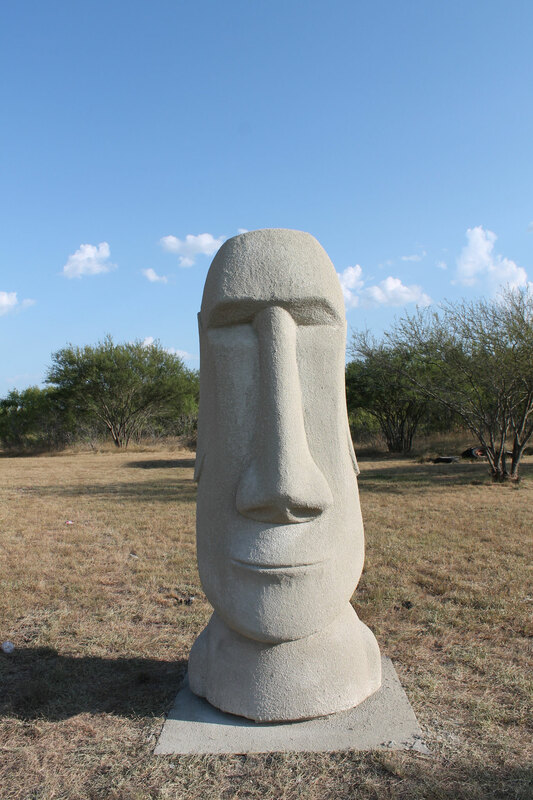 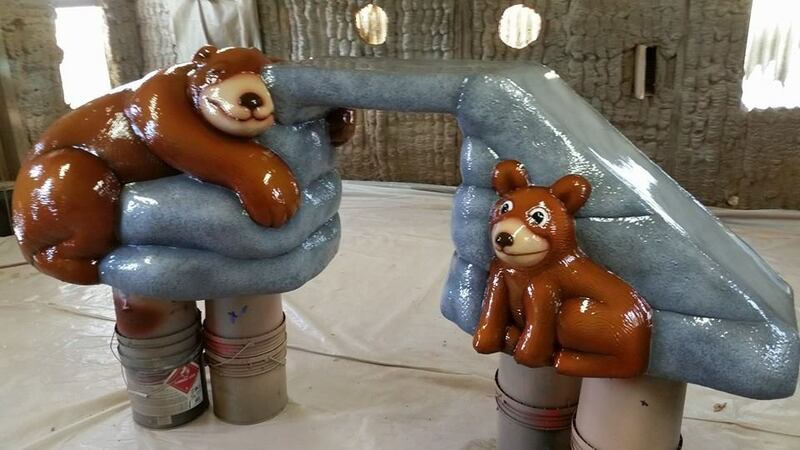 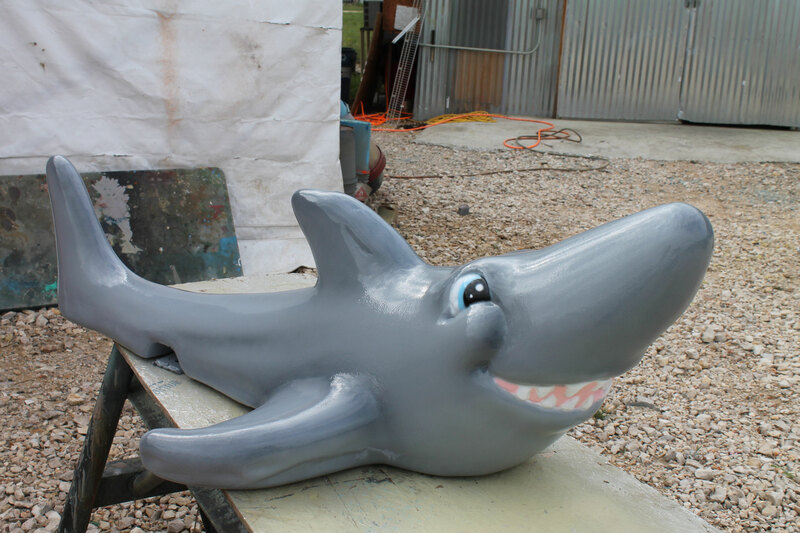 Play features, statues and custom pieces made out of fiberglass.